In our business, creating a safe working environment often begins with effective traffic control. 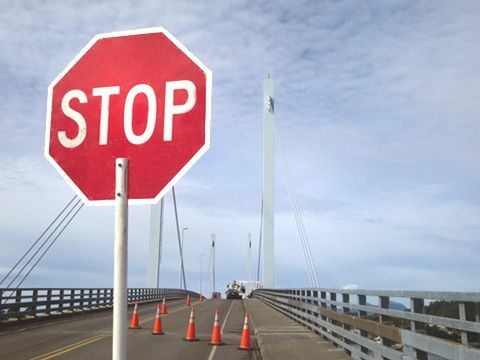 At Bridge Inspection Systems, our in-house traffic crew members and supervisors are 100% ATSSA certified and receive ongoing training to stay abreast of the latest industry practices and regulatory requirements. Whether your inspection site requires a flagging operation, partial/full lane closures, or a more complex traffic solution, we provide the expert personnel and high-quality equipment needed to ensure the safety of all workers and motorists in the vicinity of your work zone.